Members: Mario Aguilar, Marcello Averburg, Jorge Claro, Clara Estrada, Jaime Estupiñán, Jaime Jaramillo, Peter Lapera, Orlando Mason, Ítalo Mirkow, John Redwood, Lucía Redwood, Jorge Requena, Alfonso Sánchez, Jairo Sánchez, Raúl Sanguinetti, Ricardo Zavaleta, German Zincke. The main objectives of this tasting are to find out the undisclosed red wine variety being presented and to distinguish the varietals form the blends. Red wines tasting will be fully blind. Specific Information for wines 1, 2, and 3 will be disclosed after tasting. The Wine: This wine is a Bordeaux blend of 40%Sauvignon Blanc, 30%Sauvignon Gris and, 30%Semillon . Fresh, fruity, cream. Full bodied. Fresh wine with flavors of citrus and quite creamy with almond notes. Pair this wine with white fish like cod and season vegetables. The Winery: Chateau Cote Montpezat is a large, 30 hectare estate in the Cotes de Bordeaux appellation that is owned by Dominique Bessineau who purchased the property in 1989. The original chateau was constructed in the 1600’s. 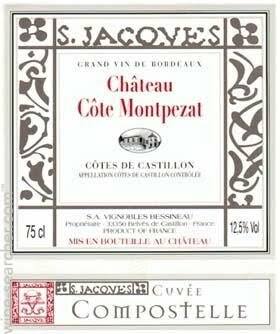 For the white wine of Chateau Cote Montpezat, the estate uses 1.2 hectare of vines planted to 40% Sauvignon Blanc , 30% Semillon and 30% Sauvignon Gris . The vines are planted to a vine density of 6,000 vines per hectare. On average, the production is about 500 cases per vintage. 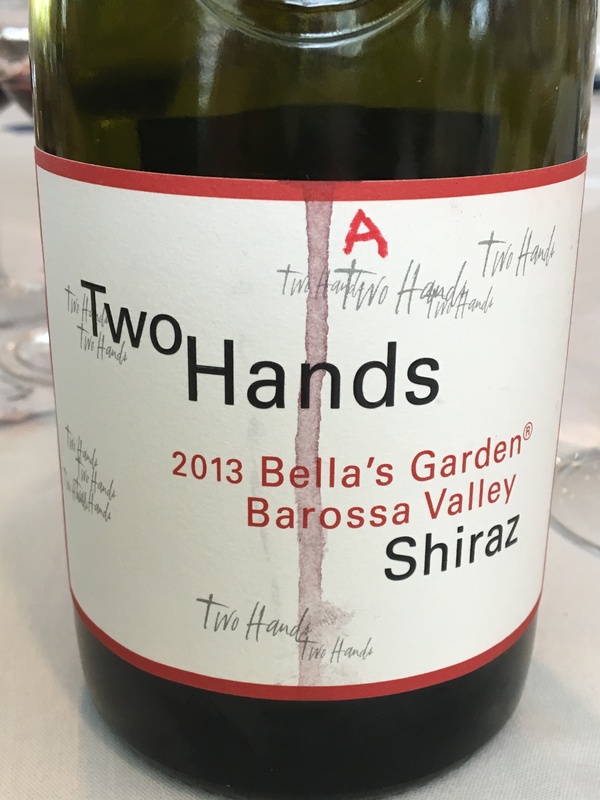 The Wine: Winemaker Notes: Quality without compromise’ is a core value that drives all Two Hands decisions so, not surprisingly; the wines have received international acclaim from respected wine critics. A blend of our finest Shiraz barrels from across the Barossa Valley region. This is a sumptuous wine, defined by its aromatic complexity and finesse. Color: Deep, dark red with a black core. Tending a purple hue towards the meniscus. Aroma: Deep set aromas of red currant to blackberry with notes of incense Christmas spice. Palate: Lashings of dark fruit with notes of incense and aromatic spices, floral hints add layers and complexity. The wine rolls across the palate coating every corner of your mouth. Dense and chewy tannins complement the fruit nicely, which tighten through the finish adding a savory graphite note. Incredibly long and complex through the finish . Cellar Potential: 10 to 15 years. The Winery: The Two Hands range is extensive, as we crush grapes from distinct regions across Australia, making wines from many different varietals across the four series in our portfolio, all produced on the estate.Since then our very first vintage, we have endeavoured to produce wines that truly reflect regionality, meaning that they show the characteristics that we associate with the regions from where the fruit was sourced. With the motto ‘quality without compromise’ central to the Two Hands philosophy, our wines are selected through a process of barrel classification – selecting the very best barrels for the Flagship range followed by the Single Vineyard Series, Garden Series and then our Picture Series. The Wine: Winemaker’s Note: This wine matures in French oak for 18 months and is not filtered. The presence of sediment, if any, is to be considered part of the natural maturation process. Intense with blackberry, and leather notes. This is a luxurious red with dark berry, plum and peach aromas and flavors. Full body light and velvety tannins and a long and flavorful finish. Juicy, rich, spicy red with meat and earth character, as well as ripe plums. 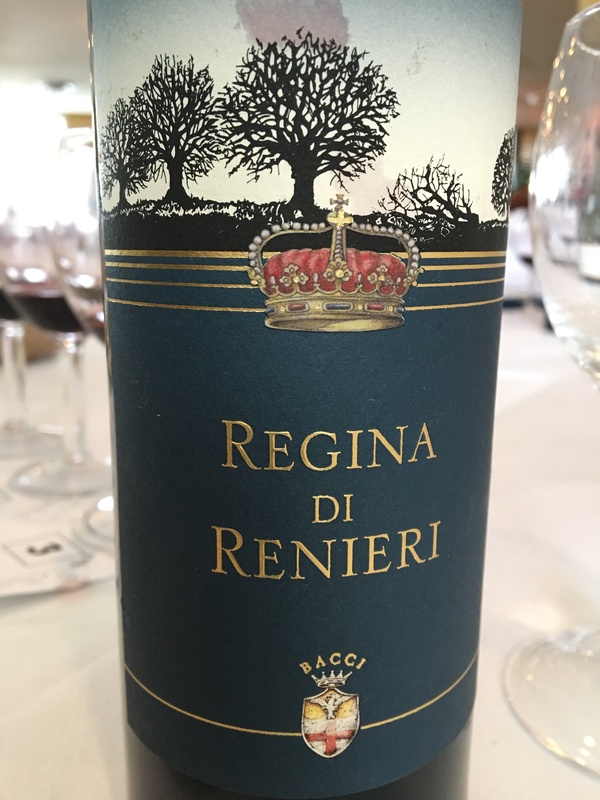 The Winery: During the late 1960s, a number of (Tuscan) rebel producers began making modern-styled wines of very high quality – which later became known as the ‘Super Tuscans’. These soon gained international acclaim and respect and began increasing dramatically in price. The result was that some of Italy’s very finest and most respected wines were being labeled and sold as Vino di Tavola. In 1984, one of the most famous Super Tuscans – Sassicaia – was granted its very own DOC title, DOC Bolgheri Sassicaia, but further measures were required to address the other wines. To bring a degree of balance to the situation, in 1992 the Italian government introduced a new wine classification category: Indicazione Geografica Tipica (IGT). This has successfully introduced a mid-ground between the highly regulated DOCG and DOC classifications and the lowly, unregulated Vino di Tavola one. IGT wines are created with the bare minimum of restrictions required to ensure quality wine production: they bear a vintage statement and producer name, they must be made from at least 85% of the grape variety, and the region of origin must be stated on the label. Almost every other restriction placed on IGT wine production falls back to generic regulations in force for all wines made within the EU. The IGT category is used only in Italy; its equivalent in France is VDP (Vin de Pays). At a European Union-wide level, these two correspond to IGP (Indication Géographique Protégée / Indicazione Geografica Protetta). 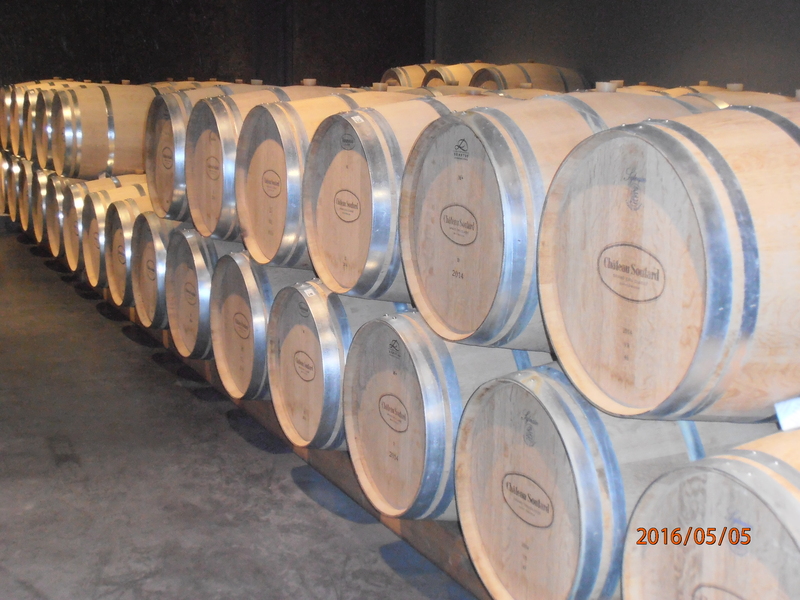 The Wine: Winemaker’s Note:This wine matures in French oak for 18 months and is not filtered. The presence of sediment, if any, is to be considered part of the natural maturation process. Intense with blackberry, and leather notes. This is a luxurious red with dark berry, plum and peach aromas and flavors. Full body light and velvety tannins and a long and flavorful finish. Juicy, rich, spicy red with meat and earth character, as well as ripe plums. 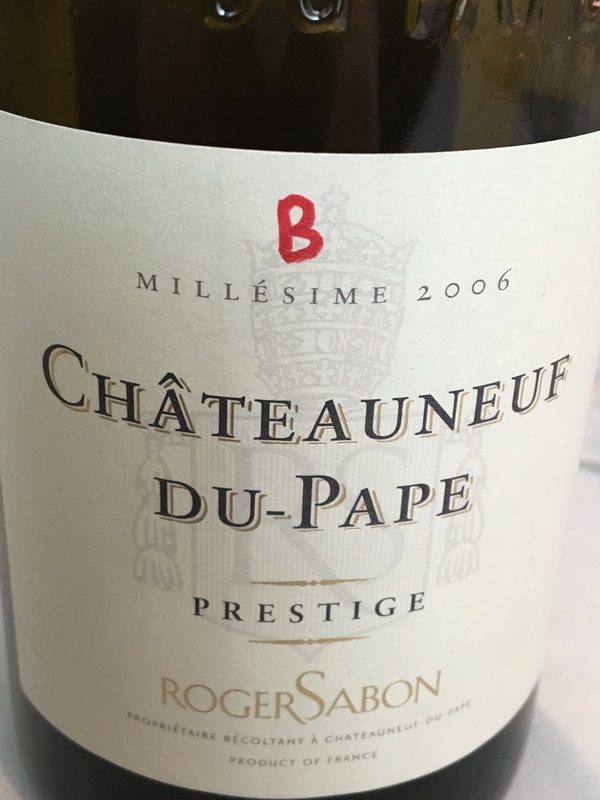 The Winery: Domaine Roger Sabon was founded in 1952 and is currently run by Roger’s sons Denis and Gilbert. A third son, Jean-Jacques is deceased but his son-in-law Didier Negron is the current winemaker. Denis and his son Julien oversee the farming while Gilbert and his niece, Delphine run the office. It is quite the family affair! The size of the domaine has grown slowly over the years with 18 hectares in Chateauneuf du Pape, 8 hectares in Lirac and 8 hectares in Côtes-du-Rhône. Most of their holdings in Châteauneuf-du-Pape are located in the northeastern part of the appellation, where the soils are sandier with a high concentration of limestone. They also own a few parcels in Le Crau famous for its red clay under a deep layer of galets deposited from the alps eons ago. These two soil types combine to make wines that are equally rich and nuanced. This entry was posted in Meeting Abstract and tagged Varietals and blends. Bookmark the permalink.